The final (external) component of the Caribbean Primary Exit Assessment (CPEA) is scheduled for Thursday 17 and Friday 18 May 2018. 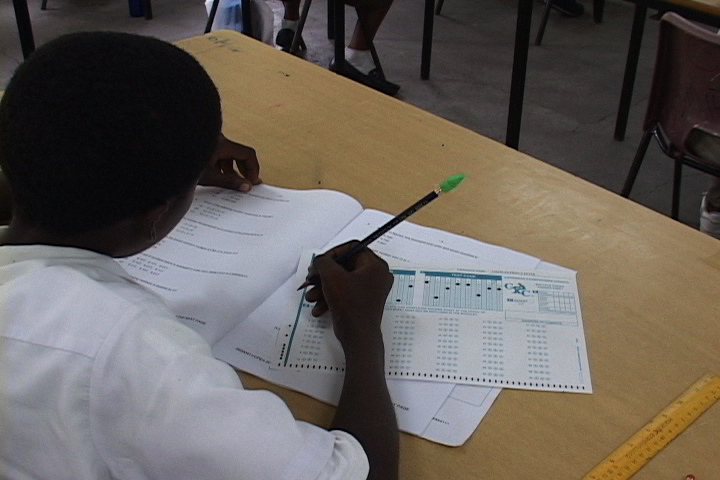 2,026 students are registered for the assessment from 70 schools. These include 1,081 males and 945 females. In 2017, 1,917 students were registered; 1,039 were males and 878 were females. The assessment commences at 9 am and will be conducted in 52 centres throughout Grenada, Carriacou, and Petite Martinique. At 12:15 pm each day all students are expected to finish the examination. Each paper will be 75 minutes duration. Table 1 reflects the schedule for the examination. MATHEMATICS 9:00 A.M. 10:15 A.M. BREAK 10:15 A.M. 10:45 A.M.
SOCIAL STUDIES 11:00 A.M. 12:15 A.M. LANGUAGE 9:00 A.M. 10:15 A.M. BREAK 10:15 A.M 10:45 A.M.
SCIENCE 11:00 A.M. 12:15 A.M.
NB: No mobile telephones and other electronic devices will be allowed at the examination centres. Electronic calculators are forbidden. Candidates should bring along 3B or 2B pencils to answer multiple choice questions. Get to bed early the night before the examination. Remember, your brain and body need sleep to function well. Do not skip breakfast on the morning of the examination. Fresh fruits and vegetables are often recommended to reduce stress. Parents need to encourage their children and provide positive feedback that will help them to relax before the examination. It is important for parents to remain calm and positive even when their children feel anxious, to build students’ confidence. Read the instructions carefully. Make sure you are shading answers correctly and that the number you are shading corresponds to the question number. If you go blank, skip the question and move on. Do not get worried or frustrated if a problem seems tricky. Re-read the question to make sure you understand it. Do not panic.